Fred Van Hove, piano; Ivo Vanderborght, bells. Recorded 9 to 11 January 1977, at King Kong, Antwerp. 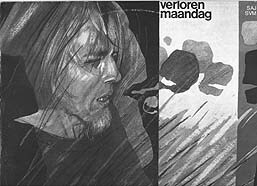 Cover design (reproduced above) by Cel Overberghe.